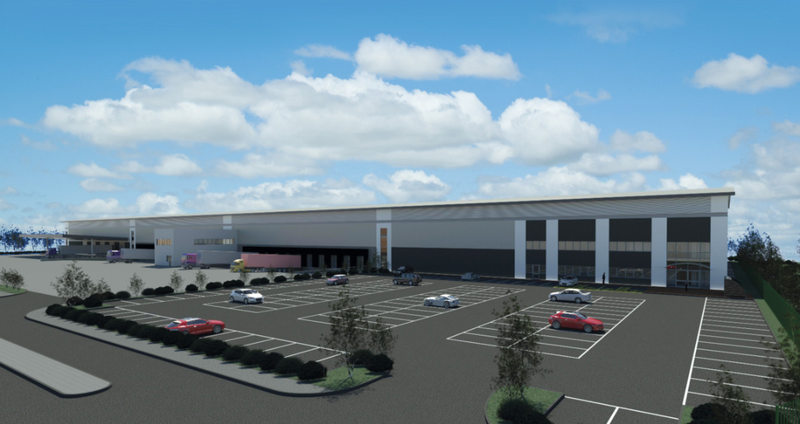 Plans from CWC Group for a further 207,000ft² unit (CW207) at Castlewood Business Park, which offers distribution or production space at Junction 28 of the M1 at its intersection with the A38, are set to go ahead. The new unit follows hot on the heels of CW72, a 72,000ft² warehouse/production unit which is currently being speculatively built out. CW207, announced by agents for Castlewood, Tim Gilbertson of FHP and Ranjit Gill of Savills, is a consented scheme to provide distribution or manufacturing space on the park. The consented unit can be erected within 34 weeks and will be available for occupiers to purchase or rent. Tim Gilbertson of FHP said: “It is great for us to be able to push forward again on Castlewood to follow on the recent development of a 250,000ft² facility for Alloga and the forthcoming completion of our speculative development on site of a 72,000ft² unit.